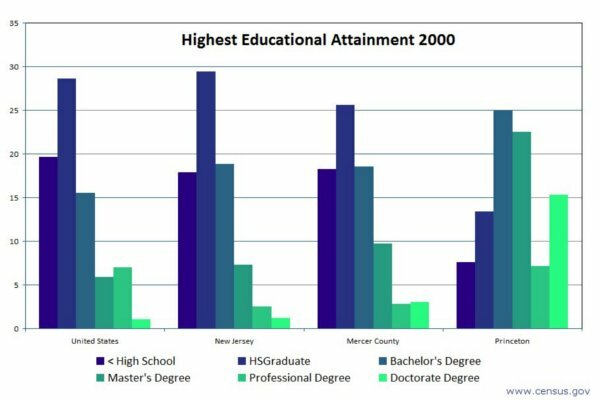 The following graph compares Princeton’s highest educational attainment for the year 2000 with the United States, the state of New Jersey, and Mercer County. The various levels of education attainment include: less than a High School degree(< High School) High School Graduate (HSGraduate); Bachelor’s Degree; Master’s Degree; Professional Degree; Doctorate Degree. 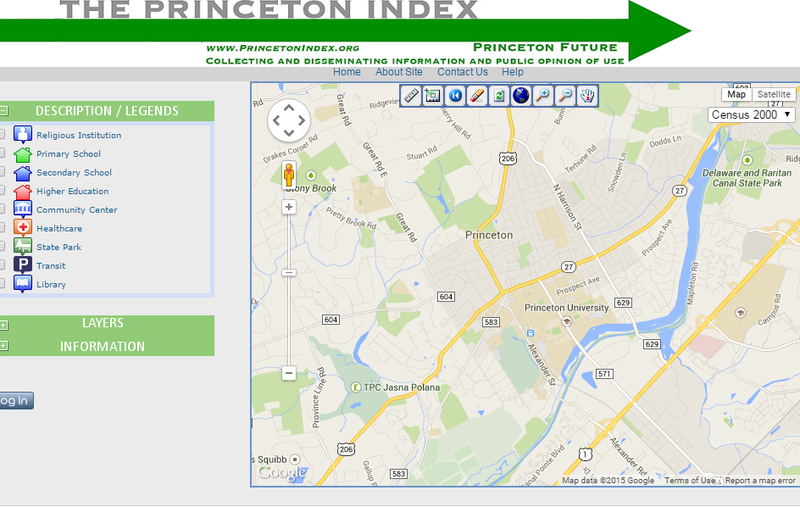 The next graph compares Princeton’s 1999 Household Income Levels with that of the United States, the state of New Jersey, and Mercer County. The various income levels include: Below $20,000; $20,000-40,000; $40,000-$75,000; $75,000-$99,999; $100,000-$150,000; and More than $150,000.